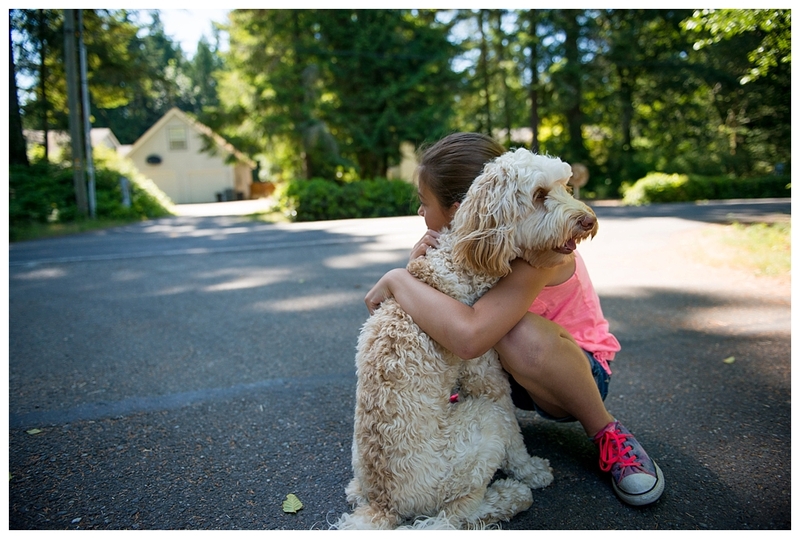 Lauren Oliver Photography - The Blog: Girl + Labradoodle = Only LOVE! 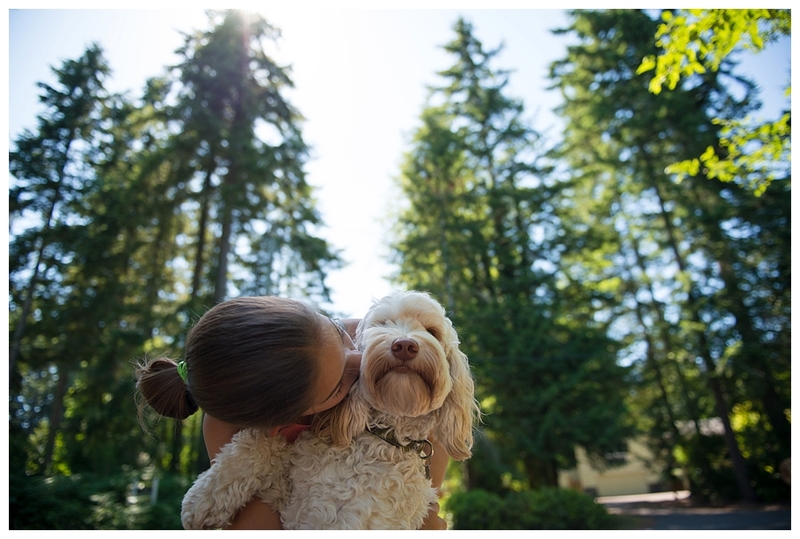 I realized a few days ago that the person/animal most happy about summer break is Wyatt. I mean, hello, his favorite people in the world home ALL. DAY. EVERY. DAY! I often say that Wyatt and Nate are the same being - just boy and dog. Energy, crazy, happy, joyful, lover of all people! They really are! But when Wyatt wants to feel only love he goes and finds her. She trains him to do tricks, she plays (both crazily and lovingly) always, she lets him in every night while she reads (then boots him out before she goes to sleep), she feeds him, she carries him around everywhere, she snuggles, she gives him treats.....basically she is his person.